I got this question the other day, and I thought I’d make something of it. Do you know of a good tutorial / tool / game that I can use to understand vlans? 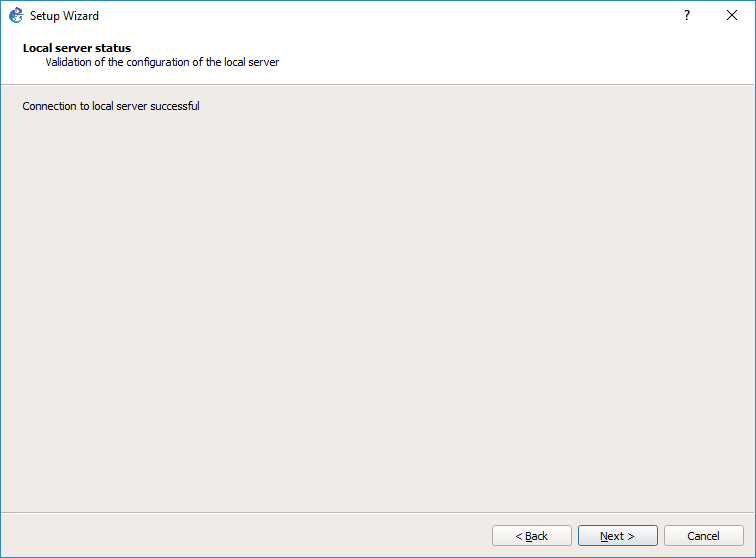 Sure do, GNS3. 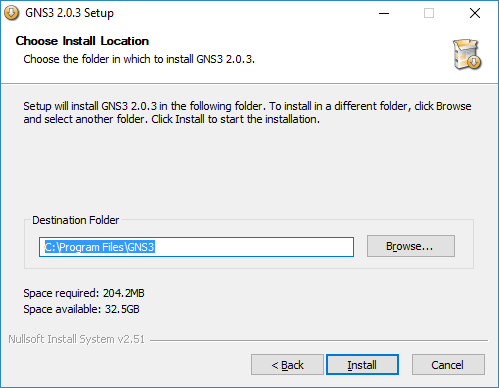 So in this series as I know I’ll have to break it up as it’s going to be a LOT of images, I’m going to go over the installation of GNS3 on Windows (I’m not interested in obsolete package versions on whatever distro of the minute is the fancy in Linux world), I’ll go over how to use QEMU to install a Windows NT VM, go over how networking works with a simple hub, then install two switches, a trunk connection, and show how to observe the VLAN tagging in action. 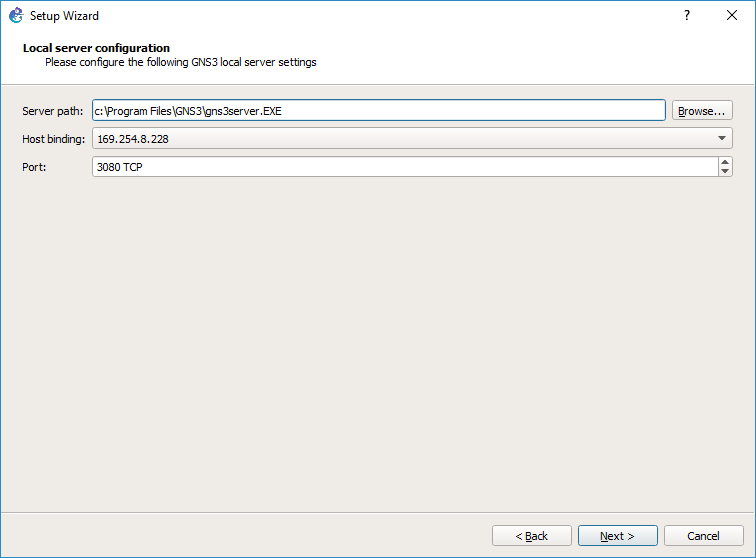 Then add in other VM’s and more VLANs and then go over bridging vs routing. 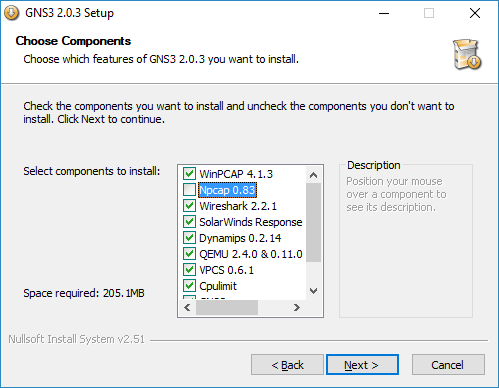 The installation options are pretty simple. I’m going to just stick with the default. You can install it wherever you like. You don’t have to install it on the C drive if you do not wish to. And with that, hit next and it’s installed. 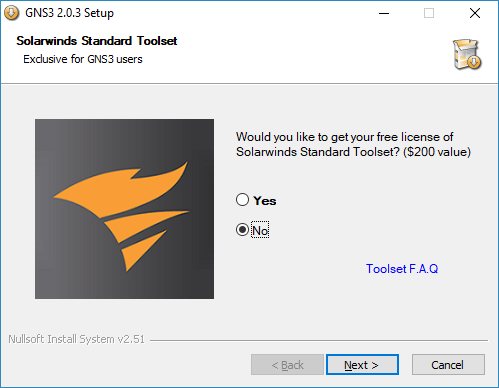 Im not interested in the solar winds stuff, so I just declined. Nothing was missed. 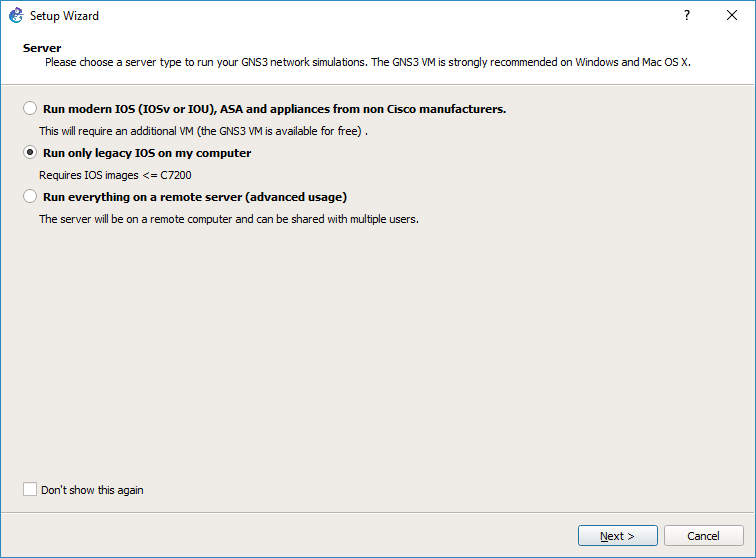 After that go ahead and launch GNS 3, and you are welcomed with this screen. I’m going to run everything on my computer. I’m not going to get into slave machines, or even wondering why they don’t just launch multiple instances of dynamips where needed. Or even what capabilities there are or even at the moment trying to force my MinGW Dynamips into the project. It’ll pick a port and host binding. It’ really doesn’t matter too much, maybe you want it for a proper LAN connection. again I’m focused on using this as a self contained thing so the default option ought to work. 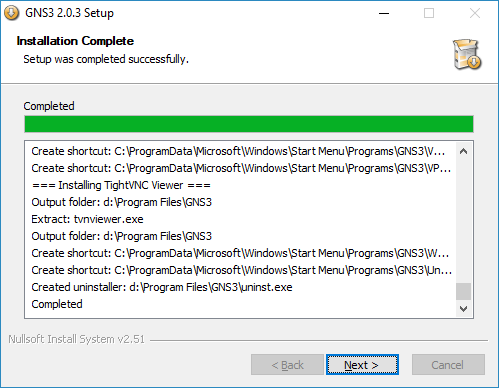 And with that said we can now move onto configuring a QEMU template for Windows NT (part 2).